For more than 50 years, Aydin Displays has been a global industry leader in providing rugged electronics for the defense, marine, industrial and air traffic control markets. 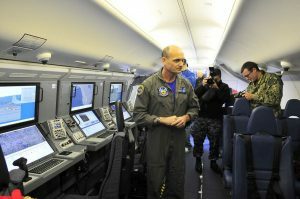 Courtesy of the Whidbey News-Times: A look inside the P8 Poseidon, which features units from Aydin Displays. We strive to deliver the highest quality products and services while staying current on the technology trends within those markets. 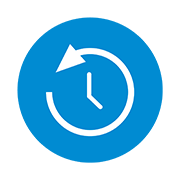 Help our customers achieve optimal outcomes and performance in their chosen application while delivering customer service excellence. From original concept to completed design, we want to be your trusted partner for all of your rugged electronics needs. 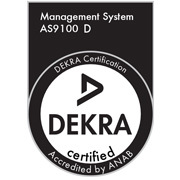 As an AS9100D-certified organization, our products meet and exceed industry standards. We ensure excellence and accountability with our Quality Management System by documenting each and every design and manufacturing process. All products endure a strict configuration control system to ensure consistency and accountability to our customers. Full engineering resources provide us with the flexibility to meet the exact needs of our customers, from one-off configurations to large production rollouts. We serve as a one-stop shop with regards to designing, developing, manufacturing, selling and supporting our entire product line. With our vast experience, we can deliver a complete solution that allows you to focus your energy on what you do best. If you don’t see what you need on our site, please contact us. We have a variety of existing products that may require slight changes to meet your requirements, or we can work with you to design something new. Call us today at 1-610-404-7400 to discuss your application with one of our product specialists. Read about Aydin's long history of delivering reliable and high performance rugged products. 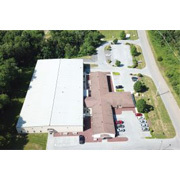 Learn about our two world-class facilities combining for over 60,000+ sq ft. 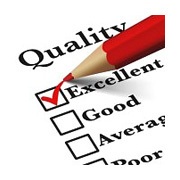 Learn about our commitment to quality & achieving 100% customer satisfaction. View Aydin Displays & Stealth.com certifications including ISO, AS9100D & more.